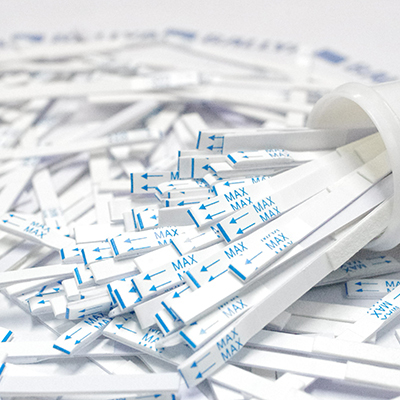 Lateral flow assays, also known as lateral flow immunoassays, lateral flow tests, immunochromatographic assays, or rapid strip tests, are a form of rapid and portable immunoassay in which the test sample flows along a solid substrate by capillary action. After the sample is applied to the test, it encounters a colored reagent which mixes with the sample, encountering lines or zones which have been pretreated with an antibody or antigen. It can detect a wide variety of pathogens, drugs, hormones, metabolites, and other molecules from biological and chemical samples.